March 6 is the so-called Super Tuesday. 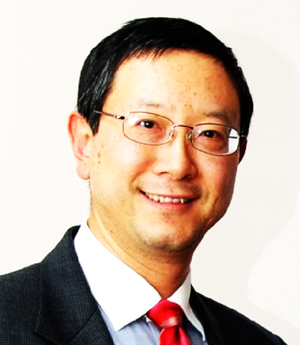 In the local elections in the historic city of Lexington, MA, Dr. Weidong Wang will run for committee member of the Lexington Housing Authority, and become the first town-wide Chinese American candidate in Lexington’s long history. Voters of Massachusetts will also cast votes in the Republican presidential primary. Former Massachusetts Governor Mitt Romney should win the Massachusetts Republican nomination. In a telephone interview with reporter on February 23, Wang hoped that the Asian community strongly support his campaign and turn out to vote. It is reported that Lexington Housing Authority is mainly responsible for the management and maintenance of more than 200 government housing units in the territory of the town, with most of them 1 bedroom apartments. The government housing is to provide affordable rent units for low-income, elderly and the disabled. According to the 2010 census, the population of the town of Lexington is about 31,000, of which about 17 percent are Asian-Americans. There are nine precincts in Lexington, and previously there were Chinese American candidates running in the precinct level. Wang told reporter over the phone that his main motivation was to help more than 60 Asian elder families currently living in government housing in Lexington to better communicate with the Housing Authority, as well as non-Asian residents. He mentioned that the most of the Asian elders living in government housing don’t speak English, and have different living habits and lifestyle as non-Asian households. He will be also be a candidate in the 8th precinct for town meeting member. The following is part of the March 6 ballot in the 8th precinct in Lexington constituency. Wang works in Microsoft R&D Center in Cambridge. He said that his campaign is pay back to the town of Lexington where he has lived for 15 years. He did not run for election before, but he had served in many positions at Newton Chinese School. According to the local media reports, Lexington Housing Authority composed of five members, and this year there is one vacancy. The housing management committee is responsible for the development of housing policies and regulations, the recruitment of volunteers and staff management and financial supervision. 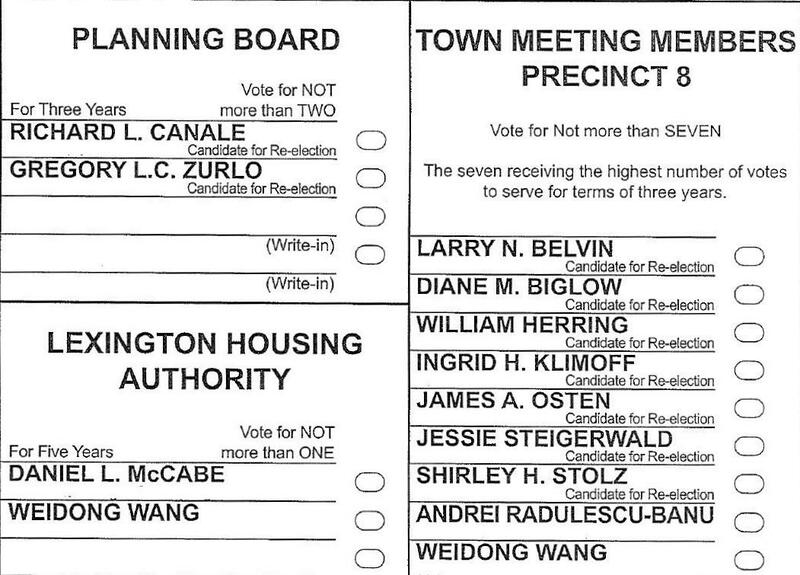 It is reported that Wang opponent, Mr. McCabe is a long time resident of Lexington, currently living in the one of the government housing units in Lexington. Nice story to kick off bostonese.com.